ATTLEBORO, Mass. – North Attleboro moved into its new home at the New England Sports Village this winter and, although the rink is still under construction, the Rocketeers already looked like a finished product despite the season just getting underway. 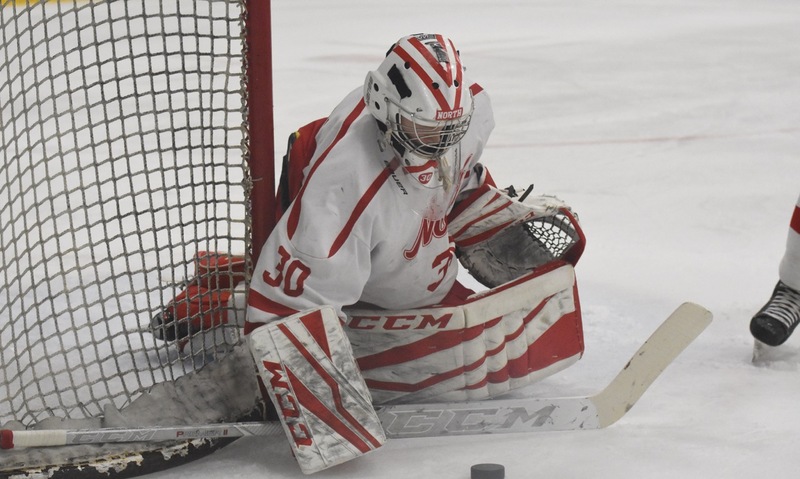 Jason McNeany and Andrew Wissler each scored a pair of goals and senior center Zach McGowan recorded three points as North skated to a comprehensive 8-2 non-league victory over Dedham in Wednesday night’s season opener. It was the visiting Marauders that found themselves in the box in the first period and North took advantage of the extra skater and each time the goal came almost immediately after the penalty. McGowan got the scoring started with 10:26 left in the first. He fired a wrist shot from the high slot, just eight seconds into the power play, off an assist from William Yeomans. Two minutes later, the lead was doubled by junior Hunter Sarro (assisted by defensemen Brendan McHugh and Vincent Zammiello) from a tight angle. North outshot Dedham 13-7 in the first period, but after a boarding call against Erik Clements, goalie Ryan Warren needed to come through with a big save just before the horn to keep the Marauders off the board. Warren (20 saves) made the initial stop and then went post-to-post at full stretch to keep out the rebound. Dedham did pull one back on the power play when Nick Mecuri knocked in a rebound from point-blank range, but the Rocketeers answered back less than a minute later. McNeany got free down the right wing and fired in a shorthanded goal that made it 3-1 and seemed to deflate the visitors. Wissler stepped up two minutes later to knock in a rebound from McGowan’s shot to extend the lead to 4-1 and, after the Rocketeers cleared off a minute of two-man advantage, sophomore forward Todd Robinson turned a defensive zone face-off into a breakaway goal when he tipped the puck past the pinching defenseman and raced free. North put the game away before the end of the second when McGowan assisted for the second time on a Wissler goal to make it 6-1. It was a dominating performance by the Rocketeers and Snizek was happy to see all three lines (and the fourth line during the third period) contributing to the win. McNeany added his second of the night off a Sarro assist with 8:36 to play and then freshman John Connolly answered a Dedham goal with the first score of his career to wrap up the scoring and get a pretty loud ovation from the sizable cheering section. Besides getting two points to start the season, Snizek was also happy to get a debut win at the Rocketeers’ new home rink. He admitted that the crowd seems louder at the New England Sports Village (they are above the glass, unlike the Foxboro Sports Center) and he is looking forward to what the rink will be when it is fully built. 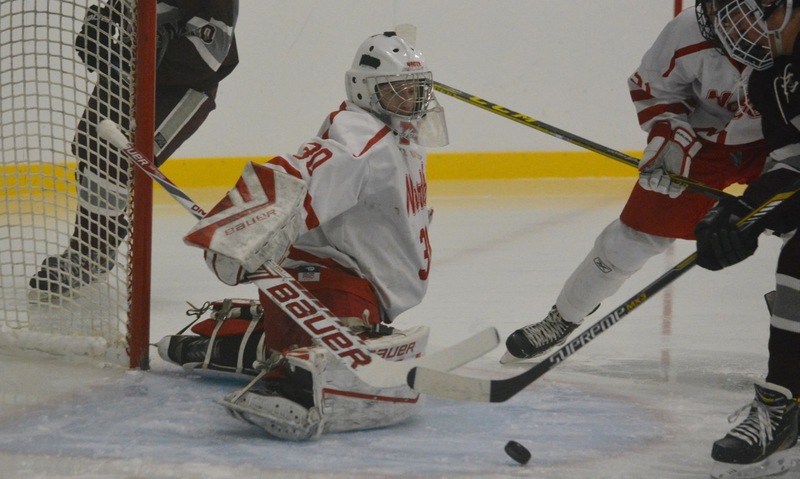 North Attleboro (1-0) will face a tough test on Saturday night when it plays host to rival Bishop Feehan.